No one ever likes to hear the bad news that their septic system is failing. Who needs that untimely expense? We have all been there. However, the licensed septic system professionals at Custom Septic Inc. (CSI) not only will get your septic tank and system up and running again, we will make it as worry free as we can for you. While others have you handle the details. We want to handle them with you; making sure your questions are answered, so you are comfortable that you are getting only what you need, saving money, and not sacrificing quality. We are located in both Big Lake and Menahga, MN ans serve the surrounding Minnesota areas – up to 50 miles around each of our locations. So put our 20 plus years of experience to work for you. Sometimes the only way to catch the septic problem before it becomes excessively costly and dangerous is to keep up on recommended septic tank and system maintenance. We understand that most home and business owners aren’t experts on their system, so we make it our business to educate owners of their Septic System Maintenance needs. We suggest that your septic system pumped ever 2 years to identify if your system is functioning properly and the major problem areas are checked for the damages that lead to system failures. If there are issues, those of us at Custom Septic Inc. are here to help. The function of a septic system is critical and when major damages occur, a septic tank gets old, or the amount of household occupants using the septic system changes, it’s time to consider a new septic system. Custom Septic Inc. Septic System Installers install all types of septic systems all over the state of Minnesota. Each system is specific to the terrain characteristics of your property, soil conditions and the amount of waist the system will need to support. The same septic system installation in Big lake, MN will differ from a septic system installation in Elk River, Monticello, Zimmerman, or Princeton. For This reason, there are many septic system designs and we will install your system whether it is designed by us or someone else. When it comes to a Septic System Design, there isn’t any room for not delivering what a customer needs. The design is the blueprint, so to say, as to how to install your system. Though all designs need to adhere to strict guidelines set by the State of Minnesota and its local agencies, not all designs are equal. We insure that all of your needs are met, but we go out of our way to keep it as cost effective for you. We give you the option to go as high tech and use the latest in septic products as you would like, but we will also give you options to stay with the tried and proven methods without sacrificing quality. So whether or not it is a gravity, pressure distribution, holding tank, or mound system our Septic System Designers have you covered. Local governments and the state of Minnesota require all Septic System Inspections to be done by a state certified Septic System Inspector. Things that trigger a mandatory inspection to insure your septic system is up to code varies from county to county, but the most common is when a property is being sold or is in need of a permit for other construction. This is also a service we strongly urge anyone to complete if they are purchasing a property that uses any type of septic system – prior to closing (hidden repair costs could easily be in the thousands depending on its condition). We can also perform an inspection if you have concerns about your septic system. Septic System Repairs There are many different signs that your septic system is in need of repairs. It can vary from slow flushing, continuously running and backed up toilets, to bad odors inside your home. Signs that things have really gotten bad is your drain field, also referred to as a leach field, is soggy or flooded. 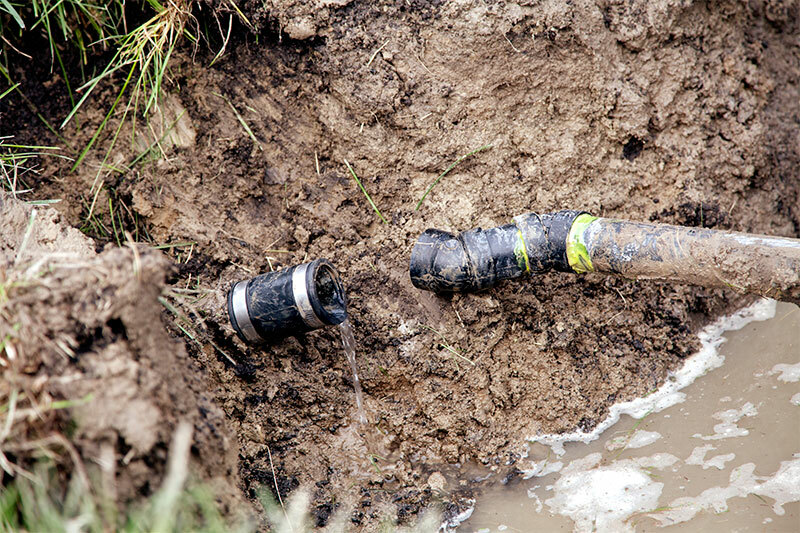 We have the experience, certifications and skill to repair each and every part of your septic system. There are many different signs that your septic system is in need of repairs. It can vary from slow flushing, continuously running and backed up toilets, to bad odors inside your home. Signs that things have really gotten bad is your drain field, also referred to as a leach field, is soggy or flooded. We have the experience, certifications and skill to repair each and every part of your septic system. For all your Minnesota septic tank and system design, installation, maintenance, restoration, cleaning, repair and inspection needs contact Custom Septic Inc. (CSI) by phone at (763) 218-4769 for the Big Lake, MN and Menahga, MN area, email info@customseptic.com or fill out our Online Contact Form right now and an expert will contact you shortly.